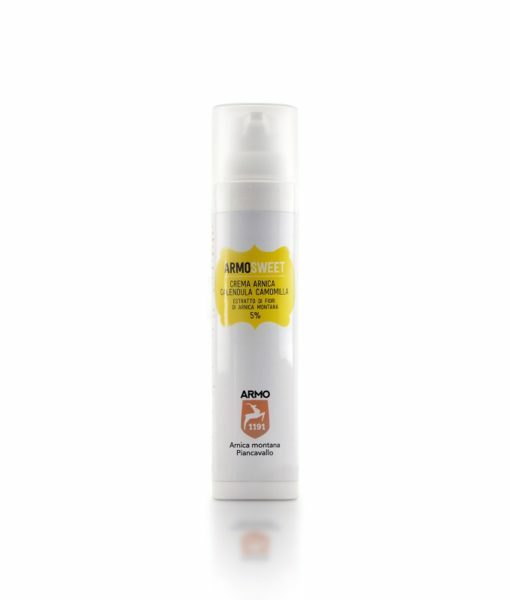 ArmoSweet cream is a moisturizing cream with Arnica montana and enriched by Camomile, Marigold, Vitamin E and Pantothenic acid. For sensitive skin. 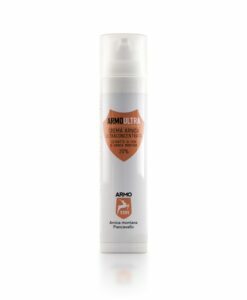 ArmoSweet cream is a special cosmetic with a 5% concentration of Arnica montana flowers and enriched by Camomile, Marigold, Vitamin E and Pantothenic acid. 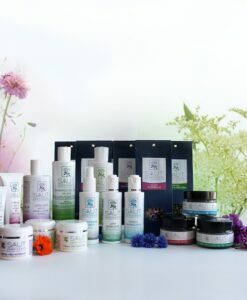 The product is particularly indicated for sensitive skins like those of children, because of low Arnica concentration and the presence of Camomile and Marigold for a soothing and healing action. 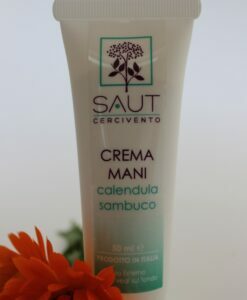 Thanks to these ingredientes, body and face skin will appear soft. 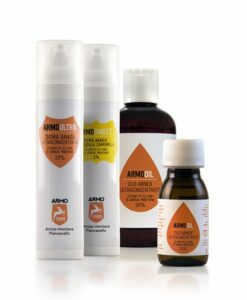 ArmoSweet cream is indicated for preventing flushed skin, skin irritations and chaps during Winter and Summer seasons. 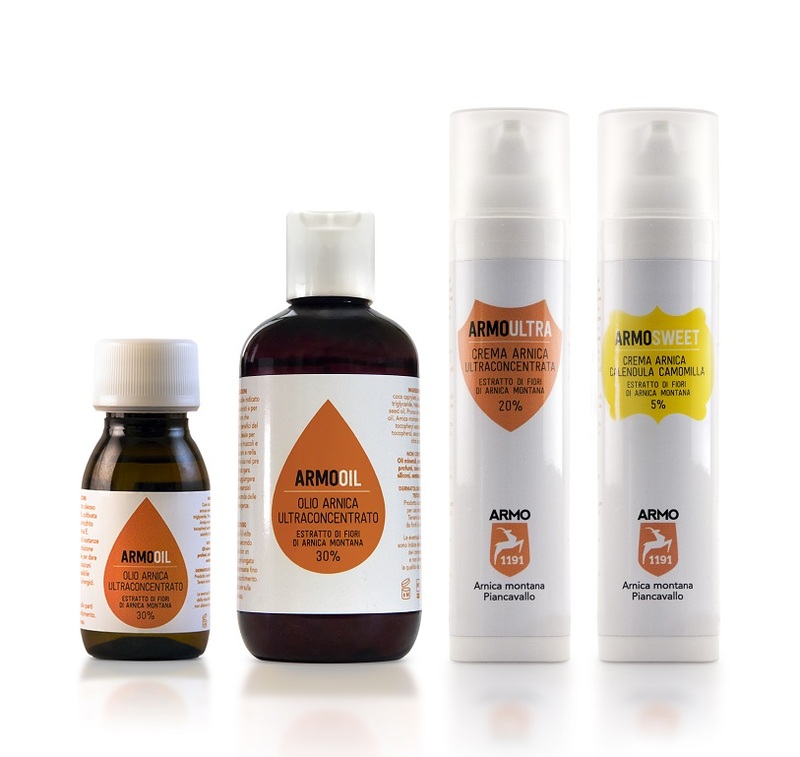 Arnica cream is also useful for irritated insect bites and in the symptomatic treatment of hematomas. 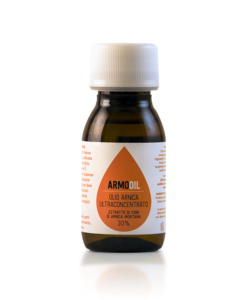 Apply on face or body and massage gently until completely absorbed. 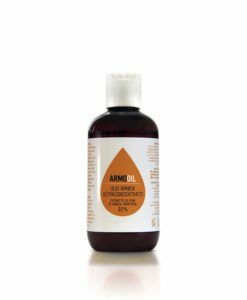 The airless dispenser bottle protects the natural product and riduces any waste. 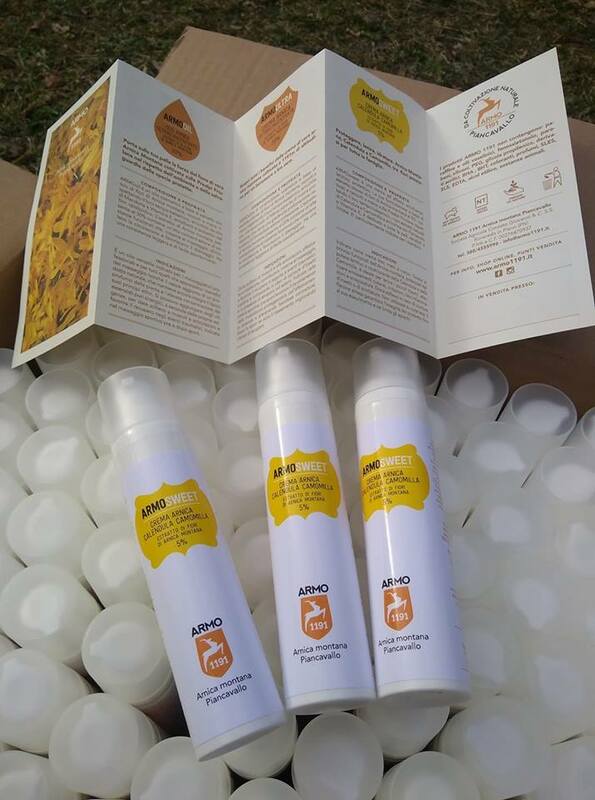 Ingredients: aqua, coco caprylate, caprylic/capric triglyceride, Helianthus annuus seed oil, polyglyceryl-3 dicitrate/stearate, cetearyl alcohol, glycerin, glyceryl stearate, panthenol, tocopheryl acetate, Arnica montana flower extract 5%, Calendula officinalis flower extract, Chamomilla recutita (matricaria) flower extract, xanthan gum, sodium phytate, benzyl alcohol, dehydroacetic acid, lecithin, tocopherol, sodium hydroxide, ascorbyl palmitate, citric acid. 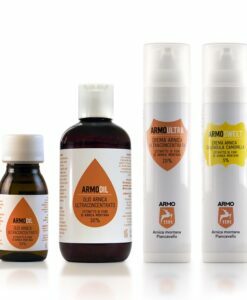 Conzato Family, who has been developing in the area around Pordenone town (Italy) grapes cultivation from mid of 20th century, has recently resumed an ancient tradition with an organized and innovative cultivation of Arnica Montana. The plants are cultivated in little parcels distant one from the another, using only natural fertilizers. The harvest of fresh flowers is manually carried out in the optimum time, then naturally dried; active ingredients are naturally extracted by maceration in sunflowers oil.